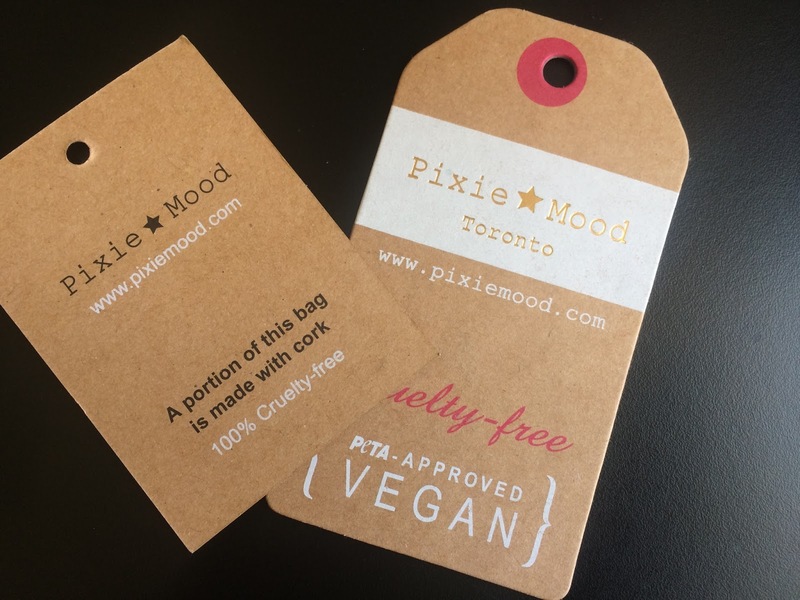 I'm here to review a cruelty-free and vegan friendly accessories brand Pixie Mood. I was in need of a new handbag and wallet that was long overdue. I came across this brand while getting my daily fix on one of my favorite sites. I browsed Pixie Mood's site to see if I would be a new customer and here I am with a review. They also have this in small but I went with the large as a just in case. Once I received the package and opened it, I realized that I should have gotten the smaller size. After I assessed the "situation" by adding in my items, going with the larger bag made sense. Whew! I didn't have to return it. I really like the inside of this bag. When I opened it, I was greeted by one of my favorite colors that gave it a nice POP. What I also like is the back of the bag. It is all black. I know that everything I wear isn't always going to match, so I appreciate the option of switching it over. I also purchased the matching wallet to go along with the handbag. I like this wallet except for the coin compartment. It doesn't open all the way like other coin compartments. I thought maybe it was the cards that I added in the slot so I took them out and tried again. I got the same results with it not opening all the way again. I started to touch the area and felt something was in the way. A portion of it is made with cork so I just assumed that's the reason the coin compartment won't open all the way. 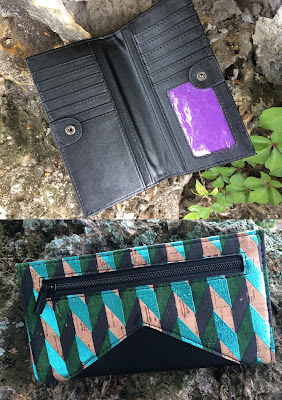 So if you're someone who carries a lot of coins, you might not like this wallet. It's really not a big deal for me but I just wanted to point that out. Overall, I like my new accessories. They have some really nice affordable items on their site. 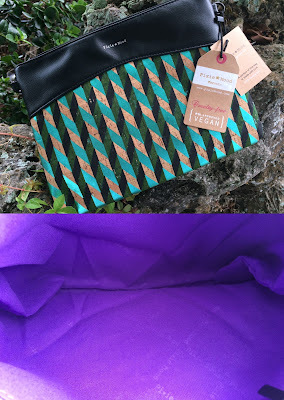 I told myself that when I purchase new handbags, I would purposely seek out brands that are in line with what my journey is about. Even though I'm not huge into fashion... I still wanted something cute, budget-friendly, and fits into my simple lifestyle. I found it with this brand. What I spent for these two items was under $100. I placed my order on a Thursday and by Wednesday of the following week, my package arrived. I was surprised at how quickly I received them. I honestly don't have a con for this review other than what I mentioned earlier with the zip coin compartment. I received my package at my expected delivery time with no issues at all. If you're looking for eco-friendly accessories, check them out.